Amazing New Information That Every Woman Needs to Know! "And You Are Going To Discover The Never Before Revealed Cure!" 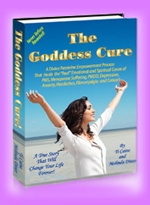 with the Most Loving and Empowering Feminine Spiritual Healing Process Ever Developed!" I KNOW YOU CAN HEAL, BECAUSE I DID! I Suffered For Over 26 Years With The Worst Case of PMS The Doctors Had Ever Seen... I had horrible cramps, headaches, nausea, infections, anxiety, depression and raging mood swings for 2 to 3 weeks out of every month, for over 26 years, and then I found a lump and was diagnosed with Breast Cancer... and my whole life collapsed. I Healed My Whole Life!" This is me and my son Gavin after I healed all my pain! I am writing this to you because I want to help you heal and thrive also. I know how hard it is to live with pain, I suffered for so long, and I totally believed that living with pain is something we women have to accept, because "That's Just Part of Being Female!" NOW I KNOW THAT IS A BIG LIE! Even though our culture teaches us that suffering is "normal", and we believe it, and most of our mothers believe that, and our friends and our doctors believe that... But It's Still Wrong! Our Incredible Female Bodies Are Beautifully Designed To Live In Health and Pleasure, and The Reason I'm Writing This For You Is To Share With You The Incredible Process I Went Through To Totally Heal Myself and Create A Life of Health and Happiness. HEALTH AND HAPPINESS SHOULD BE "NORMAL" FOR ALL WOMEN! I suffered for so many years and I tried every medical and alternative treatment I could find in my attempts to control my pain. I spent a small fortune on doctors, therapists, alternative practitioners, hormones, vitamins, black cohosh, soy products and self help programs, but my suffering just got worse... and then I got Cancer. Do these sound familiar? I struggled with almost all of them, for 26 years! BUT NOW I AM COMPLETELY PAIN FREE, HEALTHY AND HAPPY! AND YOU CAN HEAL YOURS ALSO! "And, I promise you, this is different than anything you've ever seen of before!" My name is Melinda Diner, and for the first time ever, you are going to be able to read the intimate and true story of how I completely healed the "REAL CAUSE" of my "FEMALE" ILLNESSES, how I learned to love myself, and how I reclaimed my own femininity and my creative power so that I am now living a totally healthy and happy life that I truly love. All my symptoms are now gone, so no matter how much you have suffered, please, pay careful attention to what I am sharing with you because you have within you the same power and ability to heal that I have, and these incredible healings can happen for you. Ti explained to me that all anxiety and panic attacks come from a fear of something bad happening in the future!... So, when I understood this and connected with my bright future, my years of chronic anxiety and panic attacks went away! (This was my first miracle.) After years of fear, I finally took a deep breath, and relaxed. Instead of being moody and depressed more than half of every month and putting on a Happy Face to get through another day, I now radiate a genuine enthusiasm and make people smile every day because I am really enjoying my life, and I trust my bright future. I completely healed all my female problems within just a few sessions and I also totally healed from my Cancer, so that now I've been vibrantly healthy, energetic, and full of hope for over 10 years. 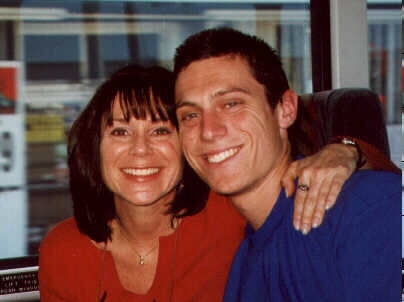 Mothers Take Note: By working with my feelings and sharing the FutureVisioning process with my teenage son, I totally transformed my relationship with him from one of rebellion, distance and struggle to one of closeness, mutual support and fun. After years of career struggles, I learned how to manifest a great job that I really enjoy. I learned to feel safe in the world and to appreciate the love that is all around me. This story is new and truly unique, and this incredibly powerful and loving process has never been written about before, because Ti created this process through his own life journey and his 30+ years as a Hypnotherapist, Healer, Speaker and Life Coach. He has explored everything from healing to psychology, from metaphysics to quantum physics, and before now, he has only shared the depth of his techniques with his private clients, but now we're going to share this with you! The senior writer and editor at large from Psychology Today, Hara Marano, did a series of articles about Ti's work for the online newsletter Psyched For Success at eDiets.com, and Christianne Northrup, M.D. wrote about his concept of focusing on the future as the most important first step in any healing process, in her multi million copy best selling book, "Women's Bodies, Womens Wisdom", but the details of the process have never been revealed before. Since Ti can only work with a limited number of private clients, he and I were talking about how we could help the millions of women who are suffering every month with the epidemic of "Female Illnesses", so we decided to write this story with the intimate details of my process to share this incredible journey with more of you. We want to give you hope and show you the way to real healing so that you can live a pain free and empowered life. Ti still works with as many private clients as he can because he loves helping, and if you wish to email or call his office you may have the incredible opportunity to work with him, but now he is developing more recorded programs, guided meditations, telephone seminars, and live workshops to help more people like you to start healing and growing like I did. For those of you who have almost given up hope that healing is possible, this story will give you a completely new understanding of a totally new approach to healing. You are going to understand the real emotional and spiritual Keys To Healing Your Body, To Healing Your LIfe, and To Creating A Fulfilling Future. This is for all of you courageous women who take care of your lives, your jobs and your families, while also valiantly struggling to get through another painful month, or even just get through another painful day. This story will show you that it is possible to heal and live pain free, there is a light at the end of the tunnel. This profound healing that I experienced may sound too good to be true, but I promise you this is all true! I would not have believed that it was possible to heal the major problems I had either, but I was willing to try, and I am so glad that I did. And my amazing healing was not a fluke... since my healing I have met many others who Ti has helped, and they have gotten similar amazing results, healing every kind of illness that exists, so my experience wasn't a fluke... His process teaches everyone how to access the power within them to heal and change, and as you understand the unique principals and powerful experiences that I will share with you, my story will help you remember how powerful you really are, and it will show you the steps to take to heal your life, and you will learn that profound healing really is possible for you too. As you remember who you really are, amazing things become possible. I am going to share with you the incredible paradigm shifting principals that I learned from Ti and the steps that I went through to uncover and heal my suppressed emotions, to change my severely limiting beliefs, to heal the disconnection from my femininity, and then to heal all the “female” problems that came from all these issues. This is not another "rah rah" motivational story about the same old remedies you've tried before, or simply "hanging in there," and praying for a miracle. This is new, powerful and specific information about how you can create miracles. CLICK HERE TO START HEALING TODAY! I have shared the intimate details and feelings in this book because I want you to be able to relate to my story and feel the experiences that I had. As much as your courage will allow you, please let yourself feel your emotions as you read all of this information, so that the powerful realizations and experiences that I had can become yours also, so you can grow and the healings can begin in you today. Healing stories have been part of our human experience ever since ancient times, and I know the power of this information that I am sharing with you because I started feeling better the very first time I talked with Ti. In our first phone conversation, before we did any processes at all, he helped me to really understand why I was in pain, and he then explained exactly what we could do to heal it, and I immediately felt better. Literally, just making sense of what the real cause of my pain was, and seeing the way to heal it made my pain decrease as we were talking. He spoke about about the future and the power of emotions and the disconnection from the feminine, and what he said made so much sense to me that it gave me hope and my changes started immediately. Yours can too. We are all connected... and this journey will help you TO REMEMBER THE MAGNIFICIENT SPIRITUAL BEING THAT YOU REALLY ARE... it will show you the beautiful futures that are available to you, and it will show you the "REAL" reasons you are in pain... and it will also help you start to powerfully and gracefully heal those core issues... starting today. IF THE PILLS AND HORMONES AND TREATMENTS HAD CURED MY ILLNESSES, I NEVER WOULD HAVE LEARNED ABOUT FEELING AND HEALING MY EMOTIONS, LOVING THE LITTLE GIRL INSIDE OF ME, CHANGING MY BELIEFS ABOUT THE WORLD, RECLAIMING MY POWER, OPENING MY FEMININITY, HEALING MY RELATIONSHIP WITH THE DIVINE MASCULINE (GOD), AND DISCOVERING, HEALING, AND NOW CELEBRATING MY RELATIONSHIP THE DIVINE FEMININE (THE GODDESS). We are here in life to learn to grow emotionally and metaphysically and spiritually... to become the empowered beings we really can be! By becoming our real magnificient selves, we can learn to consciously, by our choice, create healings and miracles! That is a worthwhile life purpose! Let me reassure you, the information in this book is not going to be another repetition of the advice that you have already gotten from the books, doctors, therapists, magazines, websites and experts out there. They mostly repeat the same old suggestions for trying to "cope" with or "control" your symptoms, but they don't address the real cause. From cramps and bloating, to migraines and back pain, to drying out or freaking out, or being caught in the anxiety and anger and depression, and they imply that by putting a name on it they have accomplished something. 3. Then they suggested the same old list of treatments that we've all heard before to try "control" the symptoms, to "fix" the imbalance, and avoid the inevitable diseases! Go to Therapy and take drugs like Prozac, Zanax, Zoloft, Lexapro etc. etc. to control your symptoms, raise your seratonin, or just "even out your moods"
Often they suggest we rename the problem, calling cramps and bloating "PMS", and calling our "Hot Flashes", "Power Surges". Did that make you feel any better? Just "Take it One Day at a Time" and try to maintain a "Positive Attitude". Every time I heard this advice, I just wanted to scream! (Did I mention that rage was one of my favorite monthly symptoms?)... and if you're like me and most of the women I know, you have probably tried most of these treatments yourself and, Well... How much did they help you? I tried every one of those remedies, and other than a little temporary relief, the truth is, they didn't work! If those approaches really did solve the problems, there wouldn't be hundreds of millions of women around the world still suffering every month! Statistics say that anywhere from 60% to 80% of all women suffer with PMS, 85% have Menopause difficulties, that means there are hundreds of millions of women suffering significantly with these problems, and with all the drugs, hormones and tests, those numbers are not significantly changing. I suffered horribly for 26 years, and the more I tried those remedies and tests, the more hopeless, angry and depressed I got... and then I still got Cancer, and my whole life crashed! With Ti's help, I finally discovered the critical "SECRET" why those treatments didn't work for me... and why they ultimately can't work. "NONE OF THOSE TREATMENTS HEAL THE REAL CAUSE OF FEMALE SUFFERING! THEY ARE ALL JUST ATTEMPTS TO CONTROL THE SYMPTOMS!" Instead of covering up our pain and avoiding the messages from our bodies, we should be listening to our bodies and learning from them. I had no idea how to listen to the deeper messages from my body, so I just spent years hating my body for causing me so much pain, and using drugs or herbs or exercise to try to force it to feel better. In our first discussion, when Ti was telling me about how ctitically important it was to listen to body, he asked me, "When the smoke alarm goes off in your house, do you get angry at the alarm and go smash it with a baseball bat? I responded, "Sometimes I want to, and I've thought of taking the battery out, but of course, I don't. I go look for what is causing the smoke." Then Ti explained to me, "Dis-ease is like the smoke alarm in your body, when it starts screaming, you need to pay attention to see where the real problem is, and fix that. Tragically, the medical community and even most alternative practitioners are just trying to silence the smoke alarm in your body with their drugs or herbs or treatments... and surgery is about the same as removing the battery, the screaming stops for a while, but you haven't solved the real problem. So the screaming will probably just come back. This is why so many cancers come back." WE NEED THE MESSAGES THAT OUR ILLNESSES ARE TRYING TO GIVE US! The messages are critically important for our growth and evolution. As spiritual beings, we came into this human experience to learn and grow and when we are off course, our emotions and our bodies tell us that we are off the track... so until we get the messages, our illnesses, like smoke alarms, will keep screaming at us! "Why are our female bodies so terribly out of balance in the first place?" The female body is an absolutely beautiful organism that can live vibrantly for 80 to 100+ years, it is amazing, miraculous, it can literally create new life! So, why are the hormones of 60% to 80% of the women in our world so terribly out of balance? What is this epidemic of "Female" illnesses really telling us? When I finally understood what my illnesses were telling me about myself, and my beliefs, and my femininity, and my spirituality, and my emotions and my future... my illnesses went away! I am now not only Healthier and Happier, I am Wiser, more Connected and more Empowered than I ever imagined that I could be. Our male chauvinist culture teaches us that we Grow Through Pain... No Pain, No Gain... but I found that Learning to Grow Through Insight, Wisdom and Joy is a lot more fun. I will always want to keep growing, but I really don't want to create another 26 years of pain and disease and cancer to keep growing. Ti helped me discover that I can learn to love myself, feel my emotions, and expand my power gracefully. He taught me to forgive myself for creating such painful messages in the first place, so I now listen to my heart and my body and my feelings, and I grow through fun and joy. As you understand the messages that were in my illnesses, you learn how to find the deeper reasons for your own illnesses, and you will see how to grow gracefully... and here is the core of what I discovered at the root of my illnesses. We live in a Male Chauvinist World, and from the time we are born, we get many messages that we are not as valuable or as powerful as man, I certainly got these messages, and I also got trained to believe that my feelings didn't really matter... that we live in a scary universe... that is controlled by a male God who is harsh judgemental and who creates all kinds of painful experiences that we don't understand in our lives and in the world. I grew up with years and years of sometimes subtle, sometimes blatant messages that I was not good enough... all those experiences and messages really hurt and made me angry, but since my feelings weren't that important, and I wanted to be a "good girl", I learned to stuff my feelings... and there was no Goddess, no divine Feminine love, so, for those many years, 46 to be precise, I stuffed fear, saddness, hurt, anger and hopelessness into my body... And where did I stuff them... You guessed it, in my female organs!!! When Ti helped me go into the stabbing pain of my PMS cramps, I found myself as a young girl being stabbed emotionally with hurtful and demeaning comments from the people around me, when I went into the energy of my cancer I found a deep festering despair covering up an explosive anger, and in my burning hot flashes, I found years of supressed rage. No wonder I was sick! I never knew communicating with my body was even possible, but with Ti's guidance it was actually pretty easy... and LIFE CHANGING!!! When I connected with these parts of me and with Ti's help expressed and released those intense, powerful and explosive feelings, my dis-eases; PMS, Infections, Mood Swings, Depression and Hot Flashes Dis-appeared!!! Sometimes instantly. What suppressed fears, saddness and hurts would I find if I went inside my body and looked honestly at what I have stuffed in my me? What hurts, violations, and feelings of shame and not good enough, would I find in my female organs? What illnesses have these stuffed feelings created? What separation and desperate longing would I find in my heart? How dark and painfull is the future that I have projected based on all this suffering? What would happen to my energy and to my health if I healed and released all that pain and hurt and anger, and what if I was able to replace all that pain with safety and emotional honesty and love and hope? Obviously, your body and your life would change! CLICK HERE TO START YOUR HEALING TODAY! 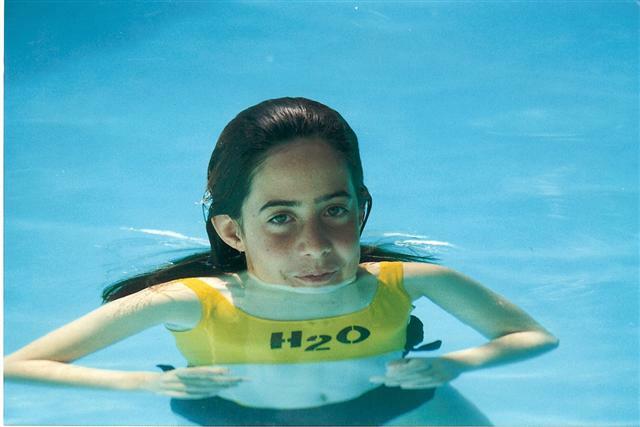 28 years ago Ti had a terrifying yet empowering experience with a life threatening illness. After 24 hours of excruciating pain he wound up in a hospital with 3 doctors telling him he had to have abdominal surgery or he would probably die... even though he was still very new in his exploration of consciousness and healing, he refused the surgery, because somehow he knew that Teilhard De Chardin was correct, that we are powerful spiritual beings, that "We do create our own reality!" and all illnesses are based in beliefs and emotions. Even while he was in excruciating pain, he kept trying to understand his body and as he kept working with his emotions, he finally found a deep anger, hurt and hopelessness that he had supressed for many years, and when he expressed these long suppressed feelings, his dis-ease dis-appeared, instantly! This was a life changing experience for him, and it led him to develop his whole healing system so he could help others heal also. 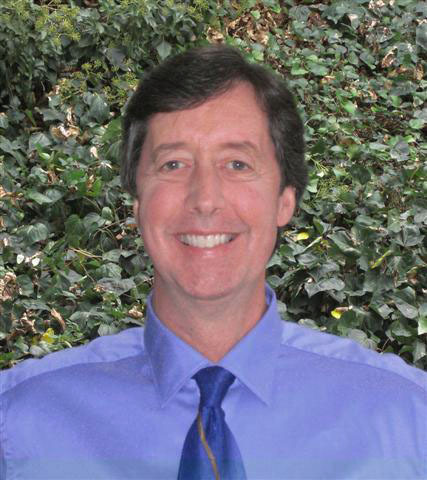 He continued to develop his incredible healing processes over the last 30+ years, and he has traveled around the world several times studying every kind of healing and psychology and empowerment process he could find. As he studied all the healing systems he could find he found that some were powerful, but all were missing some critical components that made them less effective, or made them not last... and by adding the understandings of metaphysics, emotions, spirituality and quantum physics, and the relationship with the future, he was able to create these totally new, revolutionary FutureVisioning and Goddess Cure processes, that create permanent changes and healings more quickly than anything I have ever seen. The reason I got so excited and hopeful in our very first conversation was because I could tell that he spoke authentically about healing because he had "been there, done that" in his own body, and he has helped thousands of people heal every kind of illness, there is, so he spoke with a kind of honesty and knowing that was very powerful and inspiring. As soon as I started talking with him I could tell that his processes made so much sense that I knew I had found what I had been searching for... I had spent years trying to find someone who could really help me heal and change, and I did. It was always fascinating working with him because what he taught me was always new and profound and progressive... he didn't learn this stuff in a book, he created this new healing system that includes leading edge ideas that have never been available before. He is The Pioneer in the art of healing using The Power of the Future, and his work goes beyond any healing system that has ever existed... this is the Future of Healing. Tap into The Incredible Power of the Future. Understand the critical importance of our Spirituality and our relationship with The Divine Feminine, The Goddess. Help you heal the disfunction in your relationship with God. Help you use the incredible power of the feminine energies of cooperation, partnership, feelings and imagination to heal and create the future that you really deserve. By working with thousands of clients and helping them heal everything from Migraines to Back Pain, PMS to Menopause issues, Cancer, Fibromyalgia and Chronic Fatigue to Panic Attacks, Anxiety and Depression, he has perfected his techniques over the years so that I could understand and heal issues in one session, that literally took him years to understand and heal in his own life. He is the creator of this work and he continually reminded me that we were working not just on a healing or a treatment, we were working on my relationship with the future, this is why he has been called the Worlds Leading Expert in The Psychology of the Future... and he is now bringing this incredible gift to you. In his private practice he helps individuals, couples and organizations create everything that they want in their future; from healing, to easier success, to better careers, to more money, to new relationships, and whole fulfilling lives... his FutureVisioning Process works for creating anything you want, from health to loving relationships to financial success, and the Goddess Cure process removes the deepest emotional wounds, pain, and self sabotage that holds you back from having it all. The combination of these two incredibly powerful techniques is the most powerful healing and manifesting process I have ever heard of! In my story you will learn THE ANSWERS to these CORE QUESTIONS. How can I find and heal the "REAL" metaphysical and spiritual "CAUSE" of my PMS, Menopause Suffering, Breast Cancer, Cramps, Bloating, Headaches, Panic, Fibromyalgia, Breast Pain or other "Female" illnesses? What is the "REAL" emotional "MESSAGE" my body is literally dying to give to give me? Why do I sabotage myself with addictions and behaviors like, Over Eating, Drinking, Choosing Bad Relationships, Being Irritable or Pessimistic, Suppressing My Emotions, etc. etc., and how can I stop this and be more loving to myself? Instead of fighting my symptoms and trying to dominate my body into health, how can I LOVE myself into my ideal weight, health and happiness? How can I Partner With My Body so that it can help me to heal myself, empower myself, love myself and create what I really want? How can I find the beauty and power of my femininity and reconnect with The divine feminine? I suffered with 2 to 3 weeks of terrible PMS every month since I got my period at 13. And in addition to the cramps and bloating and terrible moodiness that I suffered with and hated, I also had a continuous series of other female problems like infections an urinary tract issues, and I tried every doctor and medical treatment, and every alternative remedy on the planet with virtually no benefit at all, and then, when I was 46 years old, things went from bad to worse my whole world crashed because I found a lump and was diagnosed with breast cancer. After all of this, I had no hope of ever having a “normal” life. The thought that I could really be “comfortable in my body”, and live a healthy and happy life, full of joy and a deep sense of inner peace and emotional security did not even exist as a fantasy. I had spent most of my life battling with my body, and hating my body, and I basically planned on gritting my teeth and suffering in silence for the rest of my life. When I first met Ti I had 46 years of suffering behind me, I never really thought about it, but he helped me to really see that I had projected a futuer with another 30, 40 or 50 years of pain in front of me. Ti helped me understand that my future full of suffering was the source of my anxiety and depression, This is one of the most important realizations that I have ever had in my entire life, and when he helped me change my future, my anxiety and depression went away! With the work that we did all my illnesses went away, and I am now living the healthy and happy life my heart longed for! I am totally comfortable in my own skin, and now I truly love my own body! I feel and celebrate my emotions and I trust my future. And I'm writing this to share the actual steps of this totally new process that I went through to create these miraculous healings and successes in my life because you can follow these same steps to heal and empower yourself! You can live the life your heart has always desired. The bigger vision, the long term future is also really important, because as we heal and empower ourselves, we can then share with those we love, and ultimately we can help women everywhere to heal and we can create a future where men, women and children all over the world are healthy and happy, loved and loving. We can create a bright future for everyone! This is what we are really here to do! We're not here to find the right drug or herb to "fix" us. We are here to find our power, to reclaim our emotions, to give and receive, to have fun, to learn to respect ourselves, and of course to learn to forgive and to LOVE ourselves... and in the course of that evolution, we won't be "fixed", we will be healed. Nelson Mandella said, "W must be the change we wish to see in the world!" And that does not mean just having a "Positive Attitude" while you suffer! I tried that for years, and it actually lead me to more pain and deeper depression. "Being the change" means we have to heal our inner battle. And if we heal our inner conflicts, then we become a source of light and love for all those around us, and the world around us will change. the Battle Between What You Really Feel and You Are Able to Express. the Disconnection Between You and Your Source... Your Higher Self, Your Higher Power, or God and The Goddess. The Battle Between the Longing to See The Future As Bright and all the Programming That Has Projected A Pain Filled Future for You, Your Loved Ones and The World. The energies of your suppressed emotions and the energies of these battles are More Toxic and More Dangerous than All The Junk Food In The World. I'm going to show you how to recognize and end the battle within yourself. Begin by designing Your Ideal Future. Then you visit Your Ideal Future and meet Your Healthy, Happy and Empowered Future Self. Then you learn to feel and enjoy the incredible Power of Your Emotions. You'll learn to reconnect with the ultimate source of love... the Goddess. You'll learn to reconnect with your femininity. And you'll find the beautiful peace that your heart has been longing for. Then you get to live the loving and joyful life that you really want. I want to show you how you can heal yourself and change your life into the joyful and fulfilling adventure it really should be! I know this is all possible because I've done it and you can do it too. It is often said that “There are no accidents”… you have found this information for a reason, and by finding this page you have already begun to create the fulfilling life that your soul has been searching for! In fact, as you read this story you will realize that you have created this opportunty in your life now because you are already connected to a brighter future, and that connection is leading you to these materials and experiences that will help you to Create the Future that You Really Deserve. Your Future Self is helping you Right Now! Even if it seems you have too much pain, illness, anxiety or depression in your life now, this story and this process will help you! I know, because I was down about as far as a human being can go when I found Ti and his FutureVisioningTM Process, and I can tell you, no matter how dark your future looks, you are a powerful spiritual being and you can choose to change. Take that step now. Take a moment right now and imagine that out in front of you, there is a beautiful future, where your dreams have come true. And then, please join us by clicking on the I'm Ready To Start Healing Today Button and you can get this downloadable material immediately and start changing today. Ti and I want to make this information available to women all over the world to help them heal and grow and empower themselves so they can create healthier and happier lives, and wherever you are, we want you to participate with us and give us feedback about what we can do to help you the most. We will be developing more materials, written processes, meditations, private sessions, groups teleseminars and webinars to help you heal and grow, and we want your participation to be able to serve you in the best ways possible. Do you have Menopause difficulties? Have you had Breast Cancer or any Female Cancer? Are you currently dealing with Breast Cancer. Do you have any of the "Female Illnesses" Chronic Fatigue, Fibromyalgia, Epstein Barr, Fibroids, Acne, Pregnancy Difficulties, etc. etc. etc. We would like you to experience these materials and work with us to help you heal and learn and grow. We want you to be excited and completely satisfied with this material, so please read and study and work with all the materials for a full 2 months, and if for any reason you feel you have not gotten more than your moneys worth, just let us know and we will gladly refund your money. If you feel more hopeful about your healing and your life, then we are very pleased! And your healing has already begun. If you have read this and it has made you curious about your own power, about true healing, about celebrating your emotions, about the future, and about your femininity and your spirituality, then we are very pleased. And, you probably know that this is what you've been looking for, so we are very excited, because our greatest joy comes from helping those that are really ready to grow and heal! Please click on the link below to get these materials RIGHT NOW, so you can open to the amazing gifts your future holds for you. Your Healing Can Start Today! 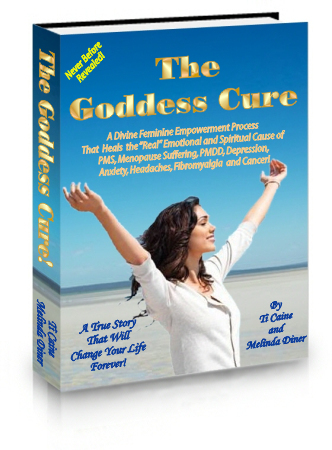 As soon as you purchase the Goddess Cure e-book package, you will be able to immediately download and read the powerful, intimate and emotional details of my healing story, and this will open your heart and mind to a whole new understanding of yourself, your power, your beauty, your spirituality and your future. Special bonus gift #1: (Value= Priceless) You will also get Rachael's story. This is the incredible story of how Ti shared my healing story with his daughter Rachael, when she was just 11 years old as she was starting to get PMS cramps along with her first menstrual periods. 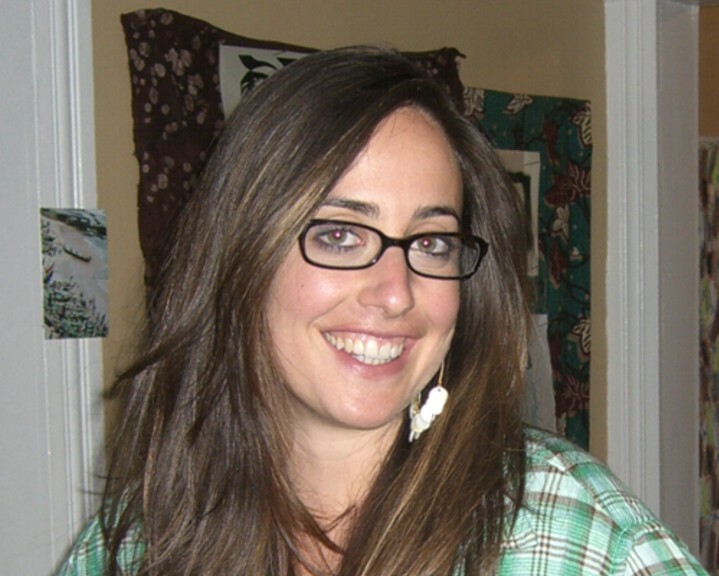 By sharing Melinda's story and the insights about emotions and beliefs and femininity, he helped Rachael heal her cramps before they ever really had a chance to get started. She was able to avoid the next 26 years of suffering that I had gone through. This story is a priceless gift for all of us women, especially if you have a daughter or know any yourg girls, because it creates a model of how we can empower our daughters and the generations of women to come to save them from the years of pain thea we have suffered with. Special bonus gift #2: (Value= $10) You get a set of worksheets that help you to design your Ideal Future in all areas of your life; Physical, financial, career, emotional, mental, relationship, and spiritual. These worksheets are the foundation of the FutureVisioning Process and they help you take that critically important first step of any process, adn that is to get clear about where you want to go. Included with the worksheets is a list of all the other illnesses and conditions that have been healed by working with the future which includes everything from ADD to chronic fatigue syndrome, relationship problems, and career problems... anything that stands in the way of you and your ideal future can be healed. Special bonus gift #3: (Value= $29) An mp3 recording of a telephone seminar that Ti and Melinda did where you will get to actually hear Melinda and Ti discuss the magic, the power and more personal experiences of FutureVisioning and the Goddess Cure healing process. This includes a special guided meditation taking you into your best and brightest future, that you can do over and over again to build your vision and your connection with your future. Special bonus #4: (Value= $19) Special Step-by-Step Healing Technique Report. Complete description of Ti's process for Communicating with Your Body and Communicating with Your Dis-ease. This is a step-by-step description of what is probably The Most Powerful Healing Technique Ever Developed. Ti has used this technique for over 30 years to help clients heal everything from Headaches to Hot Flashes, Chronic Fatigue to Cancer. Ti also used this technique with his daughter Rachael to help her completely heal a stomach ache when she was about 7 years old, and she never had stomach aches again... they used this with a nightmare, and she never had any more nightrmares, and they used this technique with her acne and her skin cleared up. With this clear description you will learn this so that you can not only understand the messages from your own body and symptoms, but you can use this process with your family and your clients to help them also. Special bonus #5:The early purchasers of these programs will be given special priority if you wish to do private sessions working directly with Ti on your own healing with the FutureVisioning and Goddess Cure Process. Special bonus #6: The early purchasers of these programs will also get the first Special Priority Invitations to the Healing Groups that we will be putting together to help you while you are healing and growing and creating of the life that you really want. We know your health, happiness and peace of mind are worth more than any money could buy, and we believe you will find that The Goddess Cure e-book and bonuses are actually priceless since they will help you understand, heal and improve your whole life, your health, your happiness and your success. when the book is printed as a hard copy and the recordings are put on CD's, the whole package will probably sell for $29 to $49 ... but our real goal is to help all women and girls to be able to live without pain so we are making this easily affordable for everyone... Only $14 for these life changing materials. That investment can save you, your friend, your mother and your daughter from years of pain, and that $14 will help us share this life changing information with more women and girls who are suffering today. That $14 will not only save you from years of pain, but it will also help you and your friends and your mothers and your daughters and your husbands and sons to create happier, healthier and more successful futures. Since you have read this far we know you are ready to heal and we would love to work with you so we enthusiastically encourage you to get these materials now, join us on this adventure of healing and growing, and please write to stay in touch with us so we can support you on this journey of healing, love and empowerment. You actually have no risk because of our Money Back Guarantee, and you literally have a whole new life to gain! We Wish You Health, Happiness and Success! P.S. You are more powerful than you know and as you learn to stop using your own power to sabotage yourself, you can love yourself and open to the incredible help that is all around you and in your future. You can heal and create health, happiness and success for yourself and those you love, and ultimately you can help the world become the loving and joyful place that it can be. Imagine a Future Where Your Dreams Come True!